In honor of Hamilton's record breaking 16 nominations. The Tony Awards are coming up fast, on June 12, so it’s time to get “the menu, the venue, the seating” right for the big night. 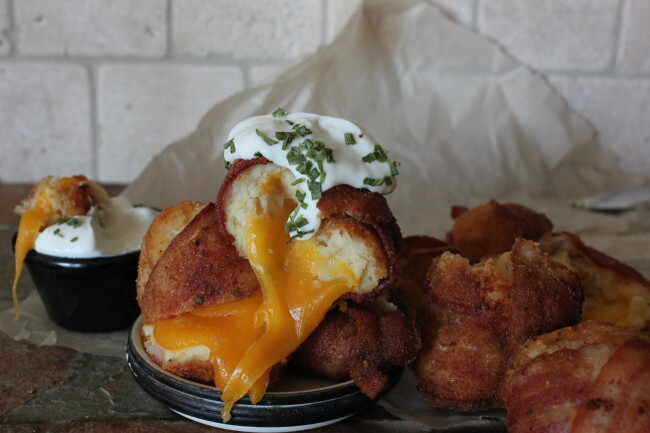 Check out these recipes, inspired by some of the nominees. “Shuffle Along” is one of the top musicals for this season. It takes place in the 1920s which had some weird food trends (anybody for some sardines in aspic? 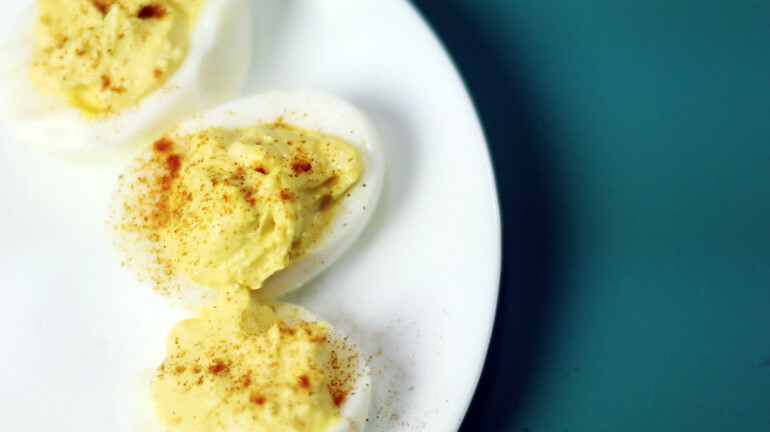 ), but deviled eggs were a staple of the extravagant parties of the decade. 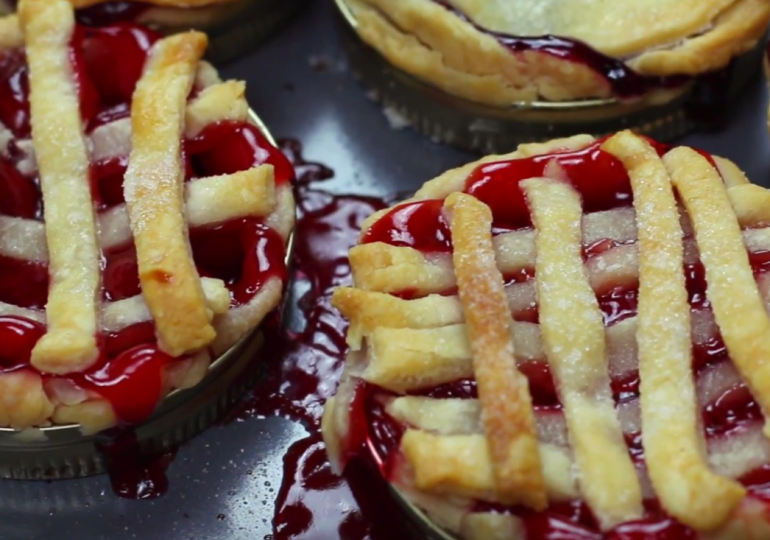 Jenna, an expert pie maker and waitress, uses a baking contest to start fresh in a life all her own in Sara Bareilles’s new musical, “Waitress.” Share in Jenna’s love of pies with this recipe to let your friends have one of their own. When Amalia and Georg, two pen pals who have fallen in love, are supposed to meet for the first time in “She Loves Me,” she brings a copy of Anna Karenina with a rose in it so that he knows she’s here. 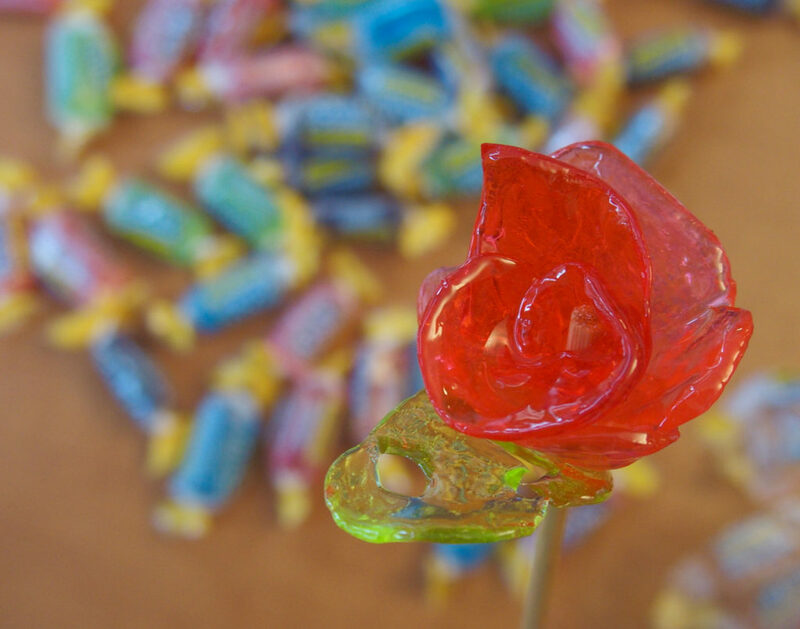 You can make your own candy roses out of Jolly Ranchers, a sweet homage to the almost sweet scene. 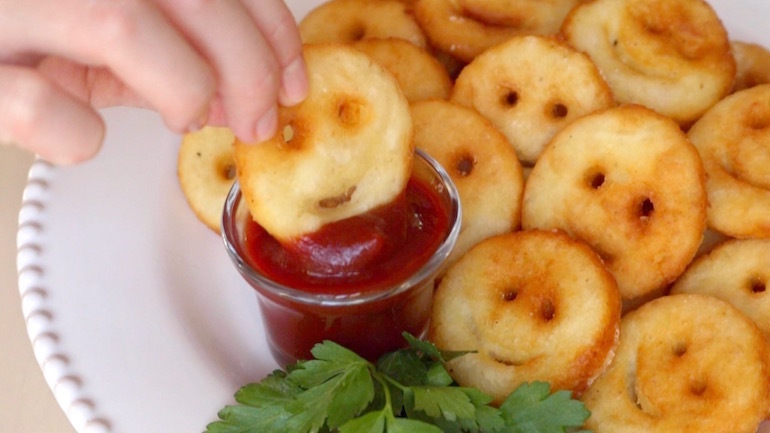 These smiley fries are as nostalgia-filled as the hit musical, “School of Rock.” Who doesn’t remember the excitement of seeing these fries in your school lunch? “Noises Off” is one of the biggest revivals of the season and, in nearly every scene, someone has sardines. 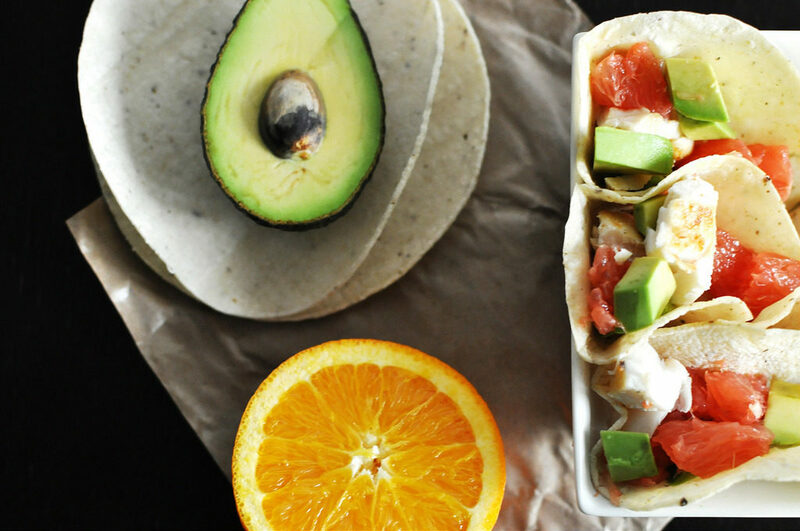 I’d recommend skipping the sardines, but perhaps these fish tacos would make a better substitution. Since “A Long Day’s Journey Into Night,” one of the top revivals of the season, follows the life of the Tyrones in 1912, make a treat based on a popular new snack of the era: Jello! These shots are just little more fun though. 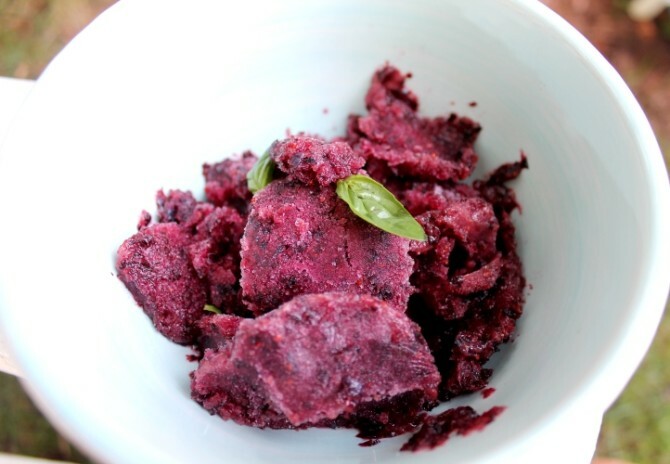 Indulge in a little sorbet, like Patrick Bateman of “American Psycho,” and blueberry and basil sorbet sounds like the kind of high end treat a Wall Street broker/serial killer might enjoy! 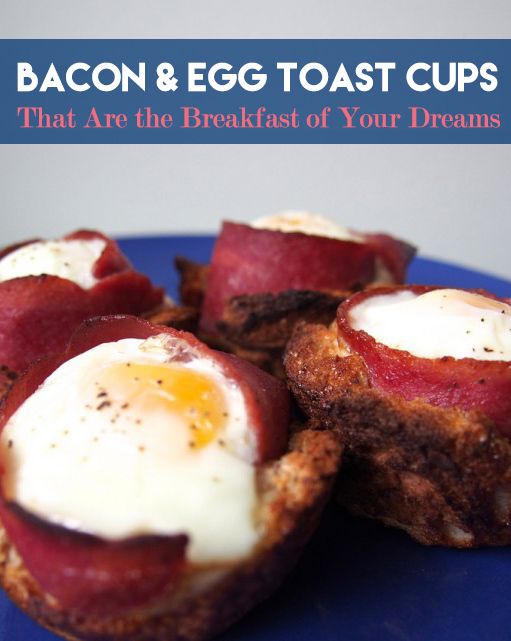 These cups are like the breakfast that Celie makes for Slug in “The Color Purple.” Toast the show’s Broadway success with these savory snacks! 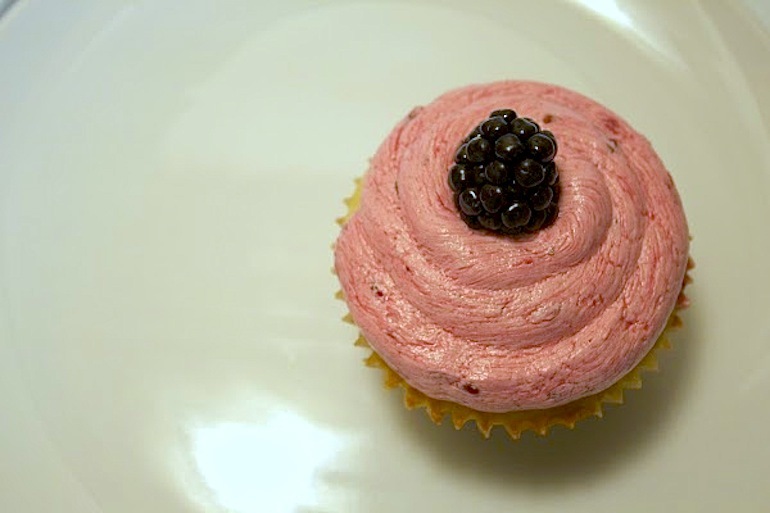 This fluffy and sweet cupcakes are a perfect treat for a “Spring Awakening,” the revival of which was performed in both English and American Sign Language and received 3 Tony nods. “Eclipsed” tells the story of five women brought together by the upheaval in their home of Liberia. 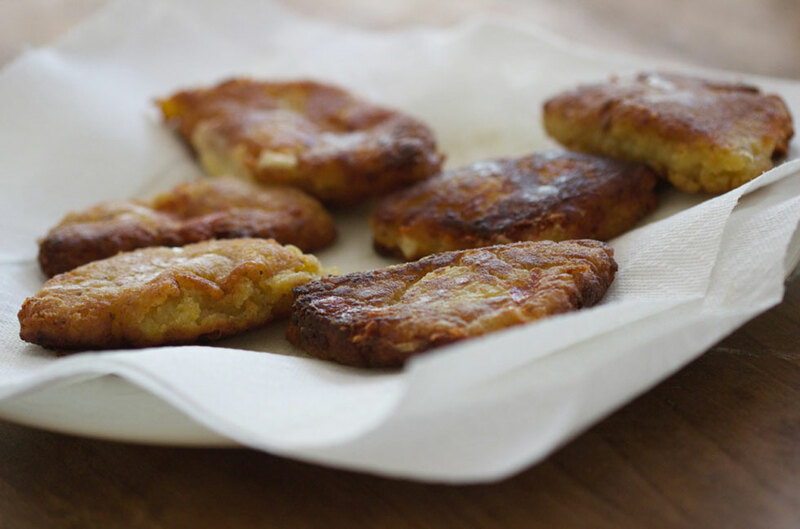 In honor of this powerful story, add a traditional Liberian food to your menu: plantains, shown here in two different snack forms. “The Humans” follows the story of the Blake family on Thanksgiving night, as their struggles and tensions come to a head. Take Thanksgiving dinner in a different direction with this delicious take on typical mashed potatoes. 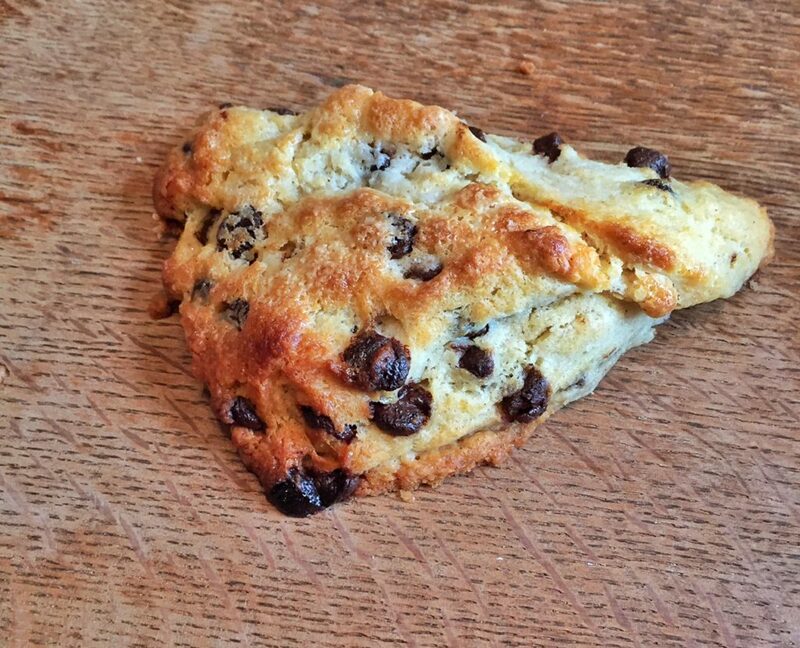 While you check out “King Charles III,” pair nice afternoon tea with these sweet scones. I’m sure you’d make the controversial king in this story proud. 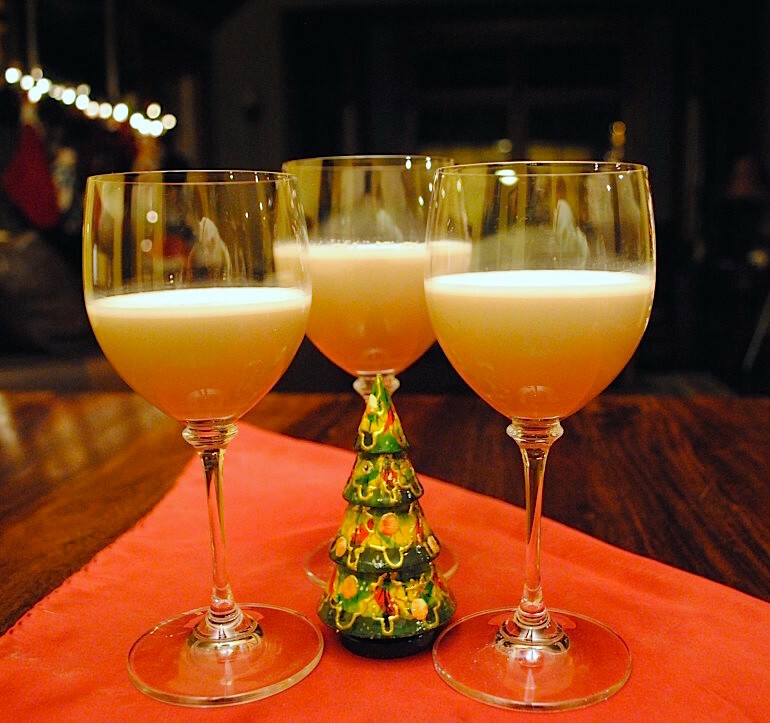 Share a drink of this Irish cream to drown your sorrows over the heart-wrenching play, “Blackbird.” Taking place in Scotland, it’s only right that you make a drink with whiskey, one of the country’s top exports. 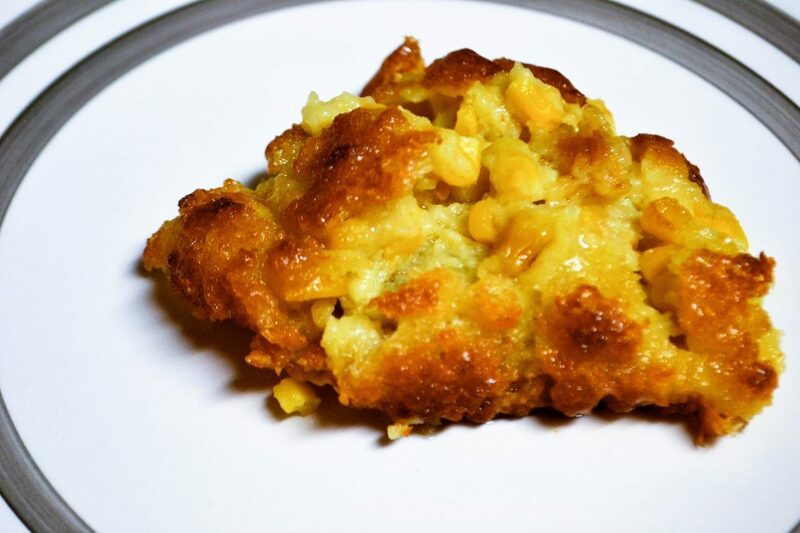 Steve Martin’s “Bright Star” is a bluegrass celebration so celebrate along with it with a sweet Southern treat. The Puritans of “The Crucible” had bread as a staple of their diets, but they don’t have to know that you made it a bit more fun to celebrate the Tonys. 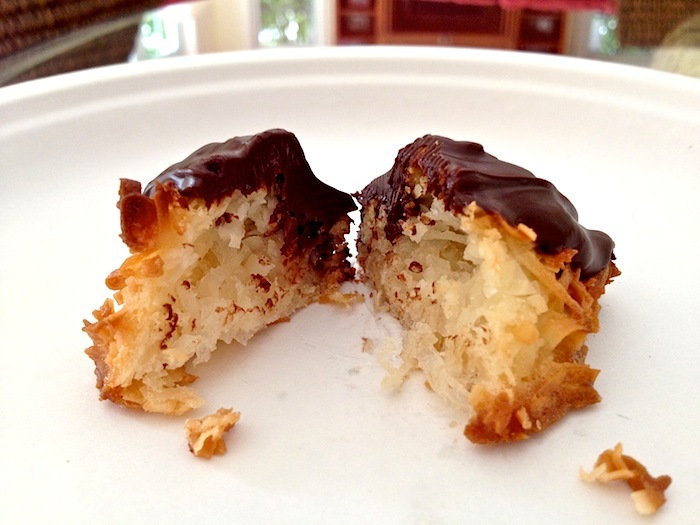 And last but not least, get in the room where it happened with these macaroons! 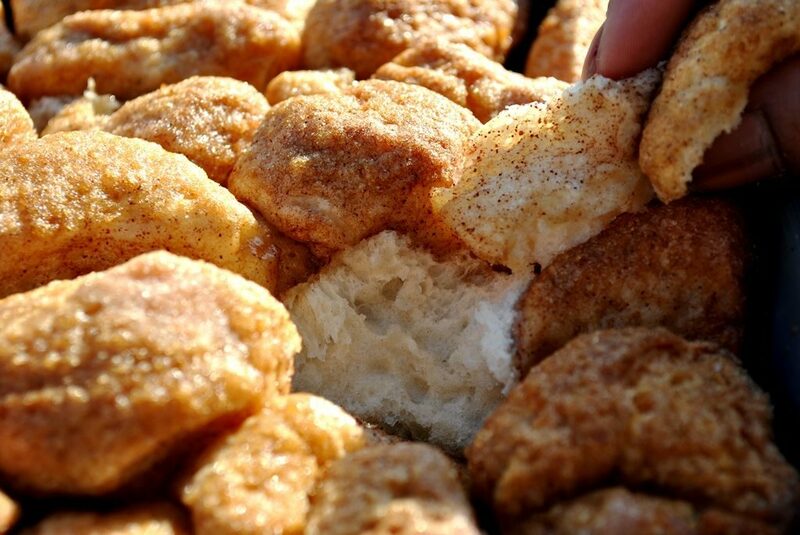 Hamilton and Jefferson had a pretty full meal during the Compromise of 1790, but the best was dessert, which was filled with macaroons, meringues, and bell fritters, all served with vanilla ice cream.